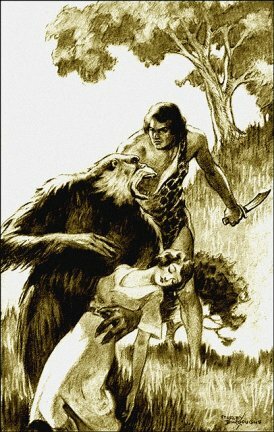 Frontispiece: "Put down the she," said Tarzan. 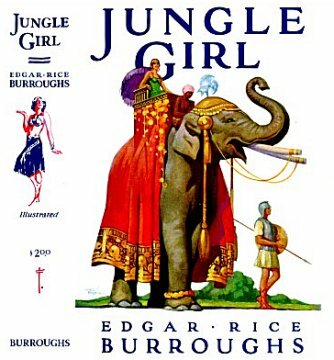 by Edgar Rice Burroughs TARZAN OF THE APES was my third story. It was written in Chicago in 1912. A PRINCESS OF MARS was the first and THE OUTLAW OF TORN the second. Which reminds me of an amusing review of the latter, which was not published in book form until about sixteen years after it was written. The reviewer commented upon the great improvement and maturity of my style in this "later" work. Tarzan seized the public fancy almost instantly. Just why he did so, I do not know. It was one of those things, like the Tariff and an Income Tax Statement, that have always been beyond me. 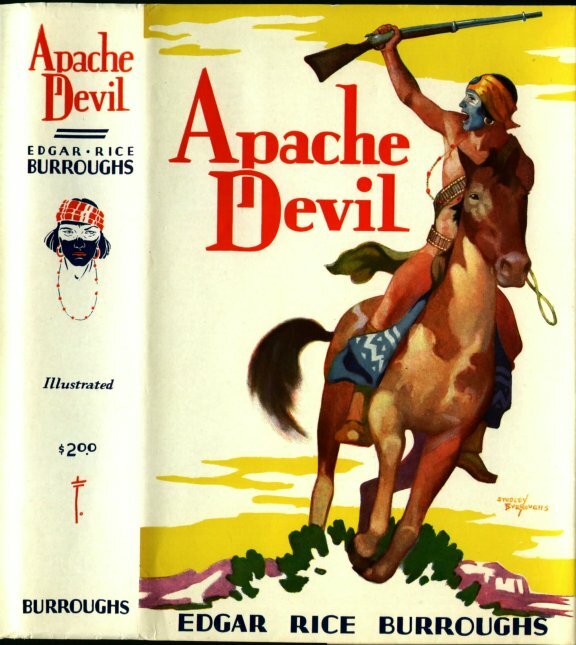 In Germany they named chocolates, cigarettes and cabarets after him; in Russia the Soviet government took cognizance of him when they discovered that both the Russian literati were reading him out loud to the rest of the communists in preference to Soviet propaganda; in England, the Prince of Wales named one of his horses Tarzan. Movie horses, movie lions and race horses bear his name. And now there is a United States Post Office called Tarzana. 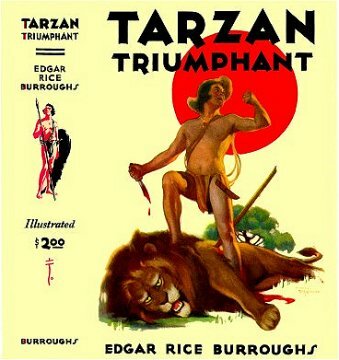 Tarzan has appeared in newspapers, magazines and books; on the stage and on the screen; over the radio; he has been translated into sixteen foreign languages; in strip form, he is appearing in newspapers the length and breadth of the United States. 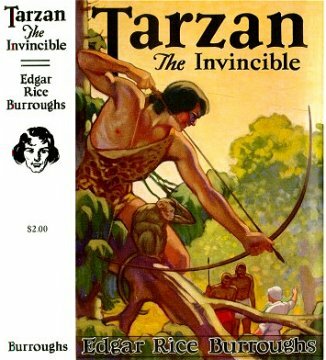 I am told that it is estimated that twenty-five millions of people see Tarzan every day, in this country, in the newspapers alone. Why all this popularity? I wish I knew; but not knowing. I can only be happy in the knowledge that he has brought a few hours of entertainment to so many people. 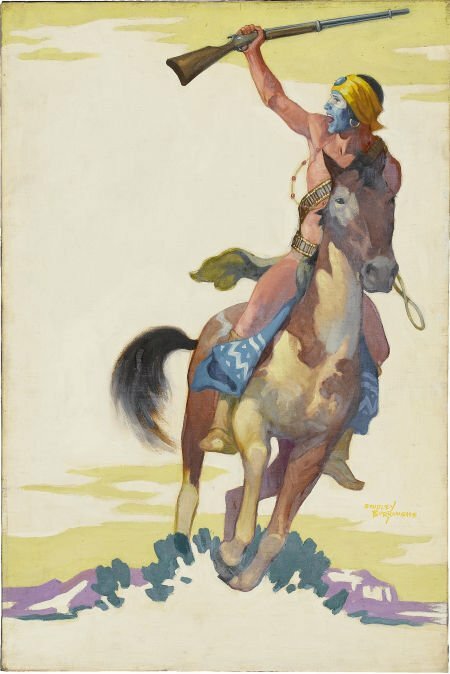 Edgar Rice Burroughs, Inc.
Oil on canvas ~ 29.5 x 20 in.